Newport, RI, — Throughout the country, efforts are being made to promote pollination by native bees and other flying insects, and on July 1 at 11:00 am, the URI Master Gardeners, who help maintain Prescott Farm in Middletown, Rhode Island, will be doing their part to encourage other local gardeners and community members to join the cause. 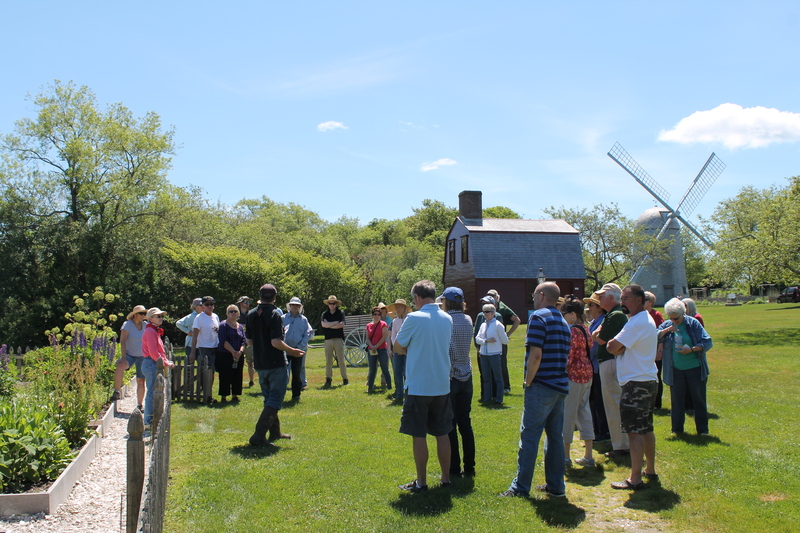 Back by popular demand, the URI Master Gardeners, have invited State Wildlife Biologist, Gary Casabona, to return to Prescott Farm to give a talk and walking tour of the historic property from the perspective of a biologist. Casabona works for the Natural Resources Conservation Service (NRCS), part of the U.S. Department of Agriculture. He is a leading expert on the subject of pollination and has made several appearances throughout New England promoting the benefits that native pollinators provide. 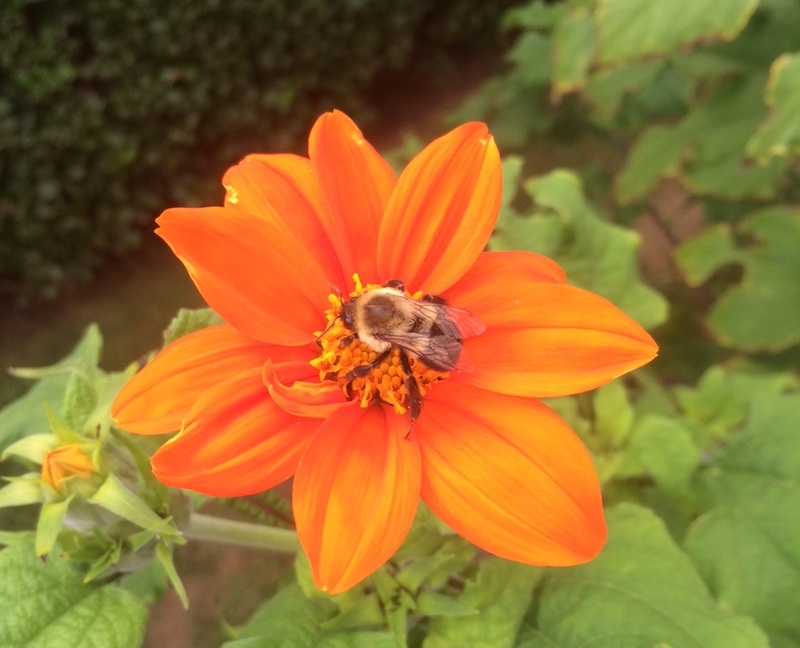 In his talk and walking tour, “Enhancing Habitat for Pollinators and Wildlife in Your Yard”, Casabona will inform gardeners about how to best select plants that provide forage (pollen and nectar) and nesting sites for native pollinators like bees, monarch butterflies, and even other wildlife species like migratory birds. He will give tips on site preparation and seeding practices for native wildflowers, as well as how to maintain established pollinator habitats. Casabona will also be able to provide an overview of a new NRCS initiative to benefit native turtle species in Rhode Island. There are an estimated 4,000 species of native bees in the country, and Casabona says some 400 species have been identified in Rhode Island alone. Native bees, which tend to be solitary (as opposed to imported honey bees which are social and live in hives) are nevertheless important to gardeners and food growers. It is estimated that without pollinators, 50 percent of the food people eat would disappear from grocery stores. The problem is human development practices have greatly reduced the habitat for native bees. Casabona has a bachelor’s degree in Environmental Sciences from Rutgers University and a master’s degree in Wildlife Biology from Virginia Tech. He worked for NRCS for 14 years in New Jersey before moving to Rhode Island in 2011. His current work involves habitat projects for New England cottontail, native pollinators, shrub land nesting birds, wetland restoration, fish passage and oyster restoration. This special event is free to the public as part of a seasonal program held at Prescott Farm, “Gardening with the Masters”. Every Sunday, volunteers of the URI Master Gardeners work at the gardens of Prescott Farm from 9:00 am to 12:00 pm. Every first Sunday of the month the Master Gardeners share their areas of expertise through a special lecture series, with topics varying each session. Special lectures begin at 11:00 am. 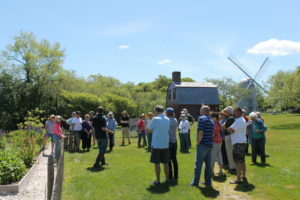 Prescott Farm is located at 2009 West Main Road, Middletown, RI. For more information on this program, visit www.newportrestoration.org/events/.